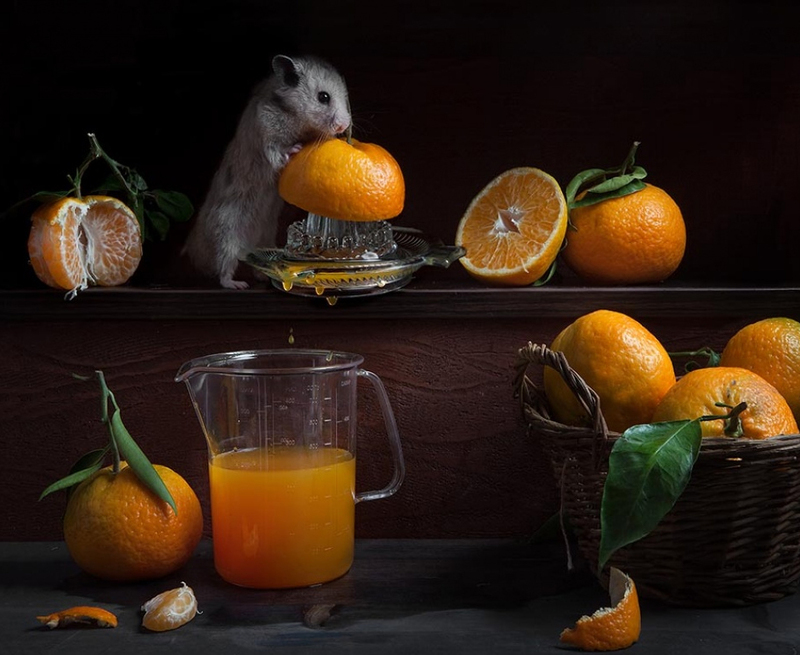 Elena Eremina is a photographer based in Russia. 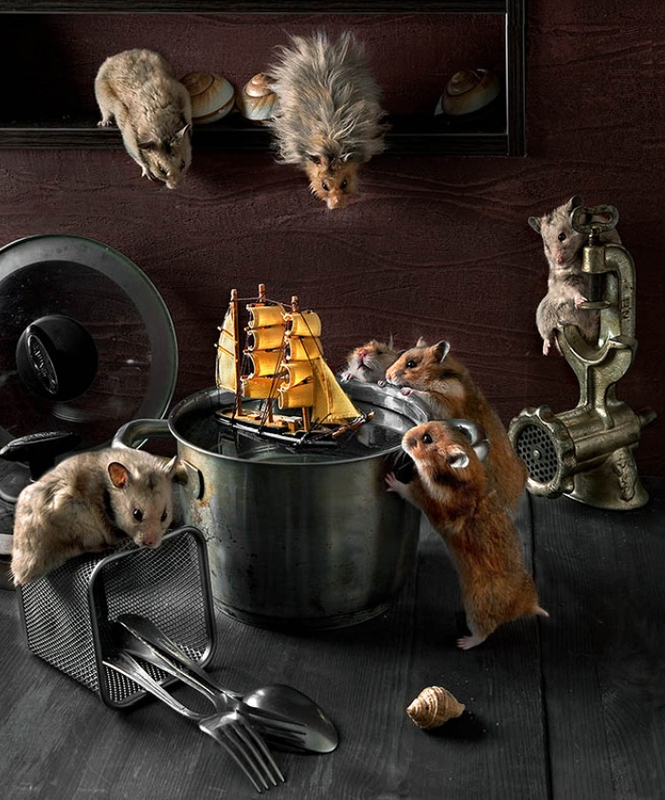 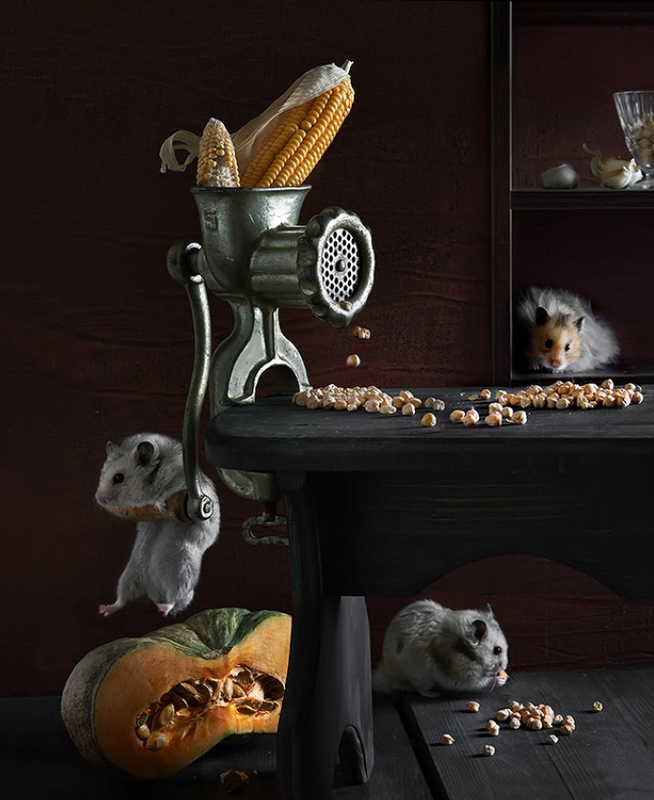 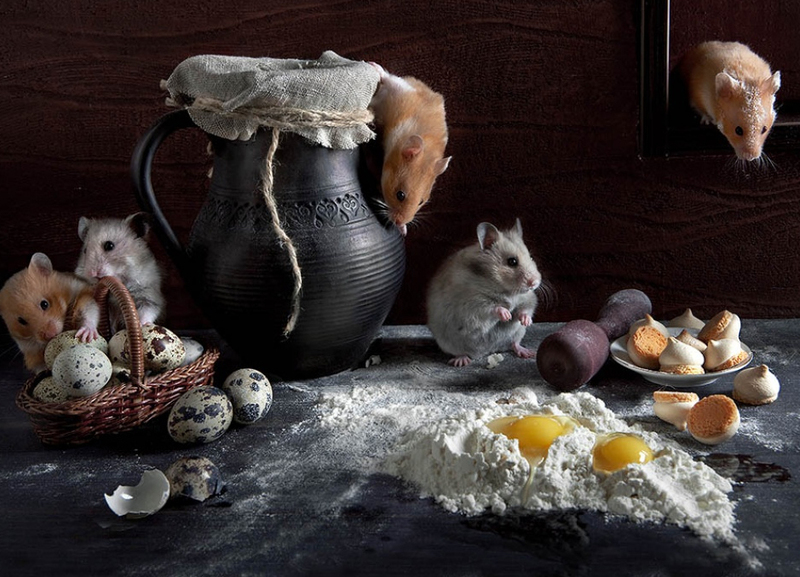 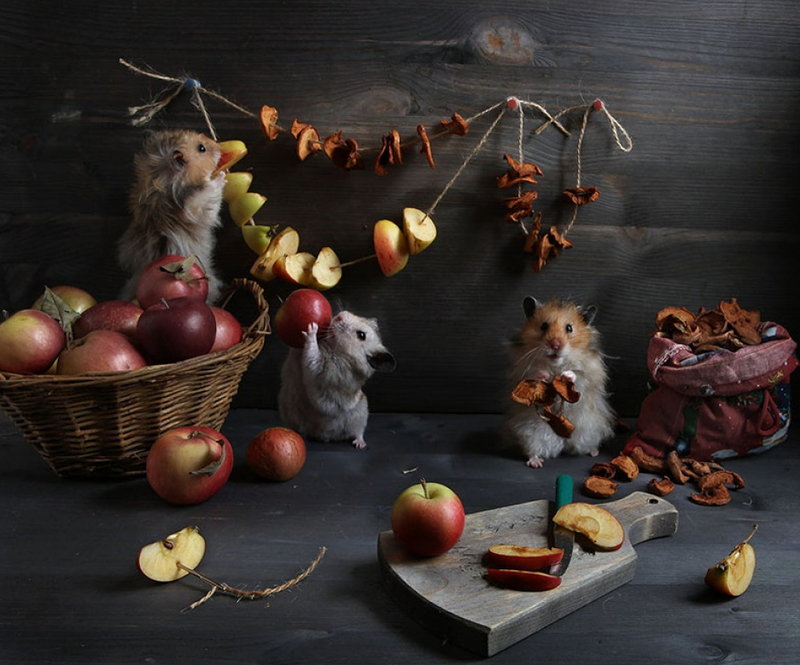 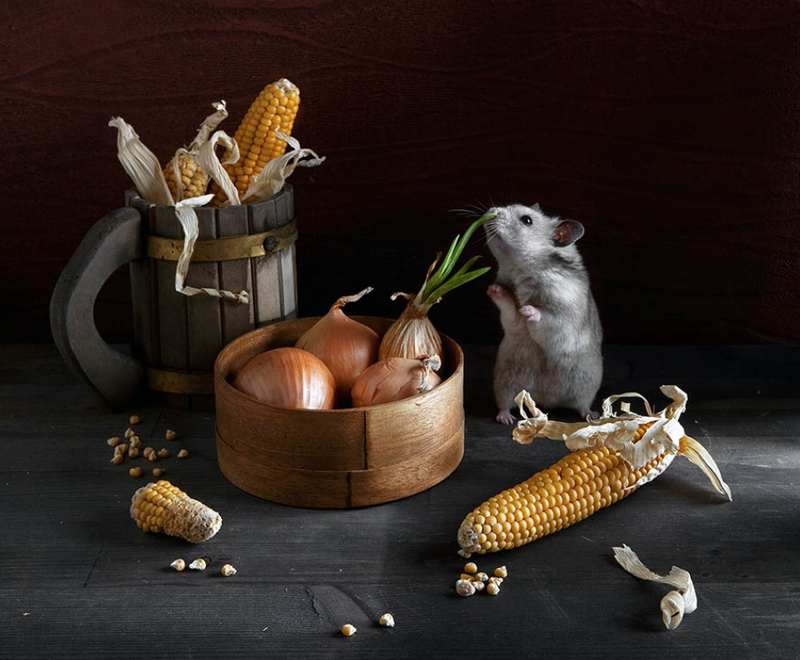 For this ongoing series, “Still Life with Hamsters”, Eremina photographs her pet hamsters in the kitchen at night when her husband and son go to bed. 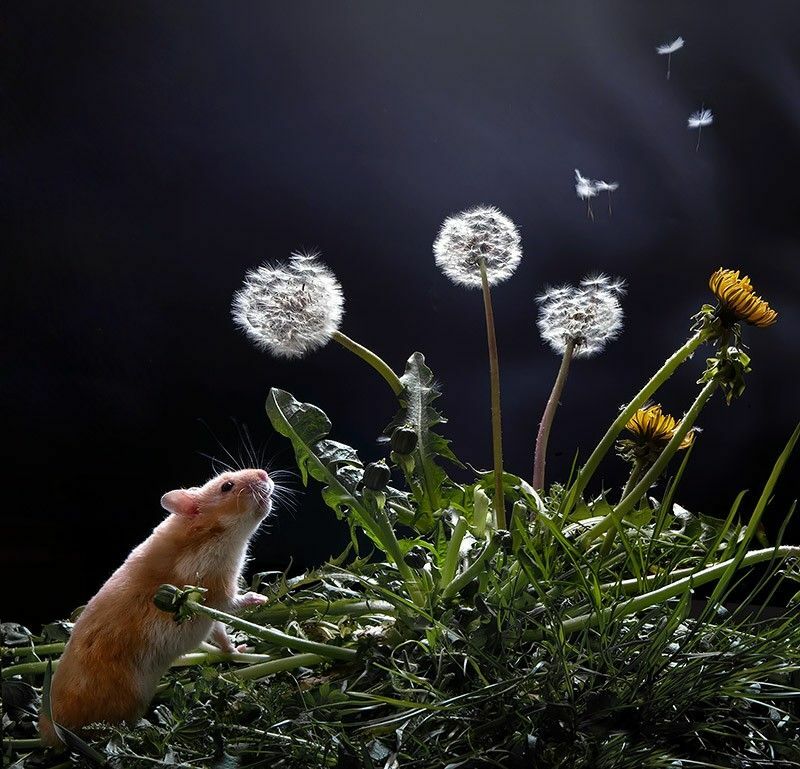 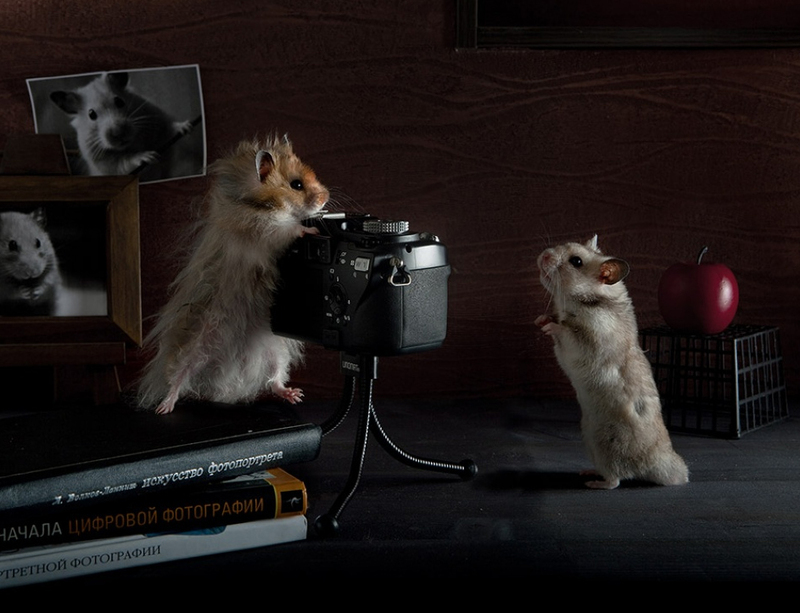 Apparently the hamsters are naturally curious and enjoy being models. 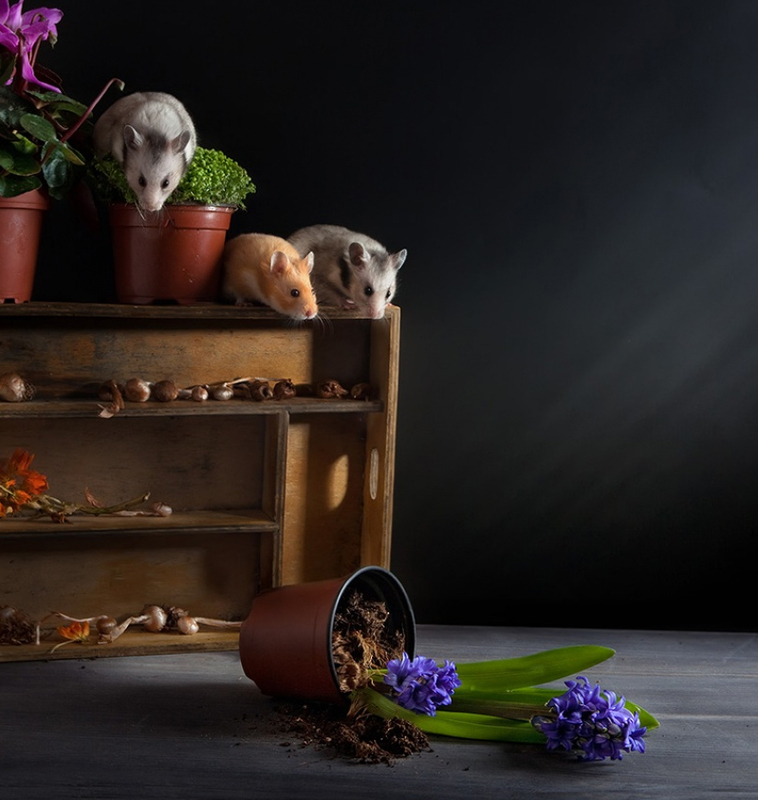 “They are glad to be released from their cages so that they can run around and vandalize,” she explains.